It’s Remembrance Day tomorrow. Quite a poignant time. It is a time for reflection, a time that should never be overlooked or forgotten. But this year it’s different…I will still feel poignant and I shall still reflect, but even more so, as this year it’s the 100th anniversary of the First World War. So this year, along with my little lapel poppy. 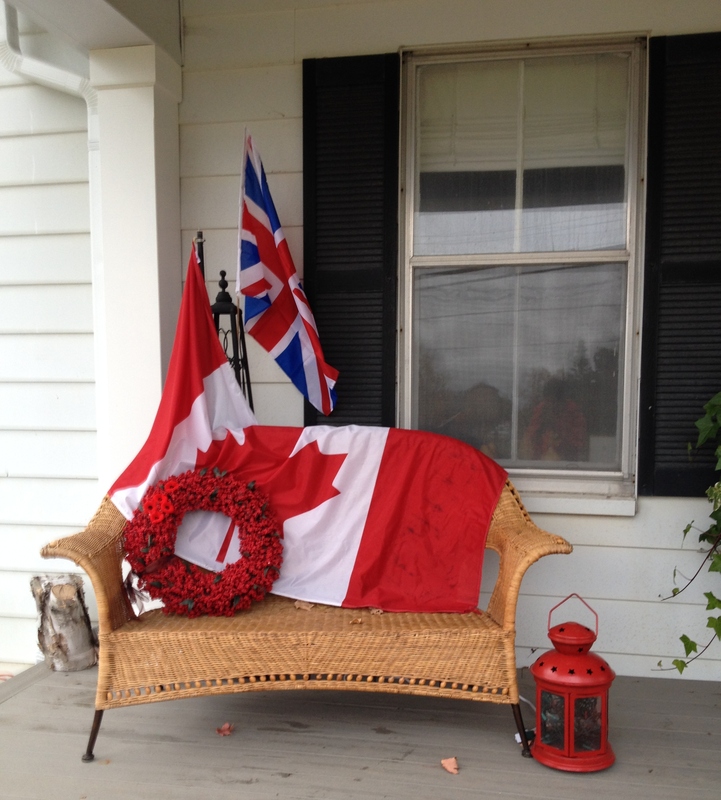 I made a small memorial to the veterans on my front porch. Lest we forget. It’s just a small token of Thanks to our soldiers….Past and present. Ps. Will have to drive by and have a better look.